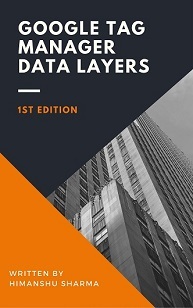 If you really want to understand how Google Analytics: collect data, define users, define sessions, define metrics and/or if you want to implement cross domain tracking, cross device tracking or any other specialised tracking in GA then you need to develop good great understanding of cookies. Store information about users’ preferences, users’ location and other details. Protect users’ data from unauthorized access. 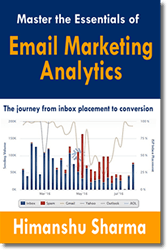 Serve personalize ads to users and to make advertising more effective via re-marketing. Cookies are stored on users’ hard disk and can be enabled or disabled via a web browser settings. Cookies (both first and third party cookies) can be set with or without expiration date. The cookies which are set without expiration date are known as temporary cookies. Such cookies expire as soon as you end the web session or close the browser window. The cookies which are set with expiration date are known as persistent cookies. Such cookies expire only on the expiration date and can remain on your computer even when you have ended the web session or closed your browser window. Note: All of the Google Analytics cookies are persistent except the _utmc cookie which is a temporary cookie. 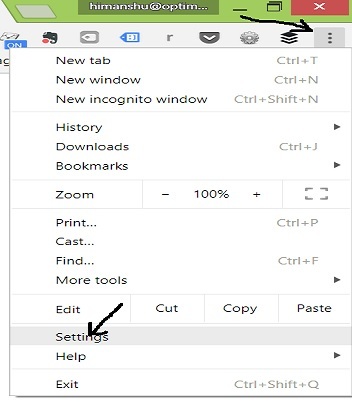 Google set different types of cookies for different purposes. #1 Preference cookie (called PREF) – it is used to store users’ preferences (like preferred language or any type of customization). #2 Security cookies (like ‘SID’ and ‘HSID’) – it is used to protect users’ data from unauthorized access. #5 Conversion cookies – used to track users’s interaction with ads. 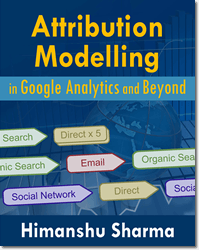 #6 Analytics cookies (like _utma, _utmb, _ga etc) – used to collect Google Analytics data. Google Analytics mainly set first party cookies. But it can also set third party cookies (DoubleClick cookies), if a website is using GA display advertiser features, such as re-marketing. Google Analytics Cookies are created as soon as you visit a website on which a valid Google Analytics tracking code is installed and is fired. Since all cookies are browser specific, if you return to a website via another web browser then Google Analytics will set different set of cookies. If a GA cookie already exist, then it is updated for collecting users’ data. So if you try to create a cookie which already exists then in that case, it will be overwritten. #1 _ga cookie which is used to identify unique users and it expires after 2 years. #2 _gat cookie which is used to throttle the request rate and it expires after 1 minute. These cookies are set on the top level domain so that users can be automatically tracked across sub-domains without any extra configuration. Top level domain is the highest domain level. Note: Ideally ‘.com’ should be the highest domain level. 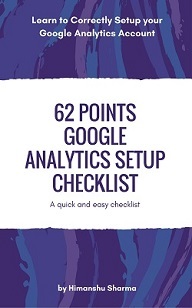 But Google Analytics can not set up cookie at ‘.com’ level. To create analytics.js cookies, you need to create a tracking object by using the ‘create’ command. Note: Universal Analytics (UA) can also collect data even without any cookie, through the measurement protocol. The analytics.js cookies are set as soon as a user loads your web page in his browser (provided the web page contains valid universal analytics tracking code and it fires on page load). Step-1: Visit a web page which contains valid universal analytics tracking code, in your chrome browser. First field is the version number (GA1). It seems to be fixed at the moment and may change if the cookies format changes in the future. The second field is number of components at the domain separated by dot. By default the _ga cookie is set on the top level domain with the root level (/) path. The third field is random unique ID (randomly generated number). The fourth field is first time stamp i.e. the time when the cookie was first for the user or the time when a user first visit the website. 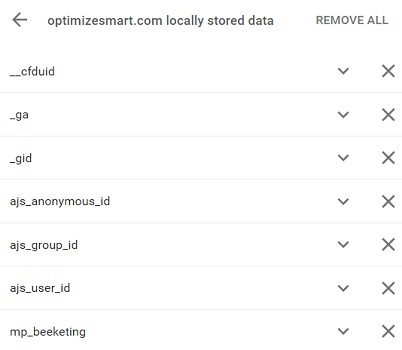 Google analytics identify unique users across GA sessions through client ID. The client ID is stored in Google Analytics cookie. The GA cookie is set, when a person visit your website for the first time. Google analytics send the client ID with each hit in order to associate hits with a user. 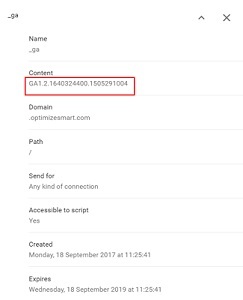 GA cookie can exist only on the device and browser where it has been set. Since client ID is stored in a GA cookie, the client ID will also exist only on the device and browser where it has been set. Because of this reason, by default, GA can’t identify unique users across different web browsers and devices. Identifying unique users across different web browsers and devices is known as ‘Cross Device Tracking’. If users can login on your website then with the help of user ID, you can implement cross device tracking. 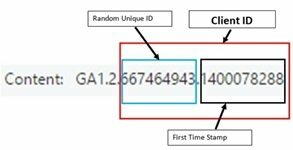 User ID is a unique random number which is used to uniquely identify users across different web browsers and devices. According to Google terms of service, the User ID must not contain any personally identifiable data like: user’s name, email address etc. 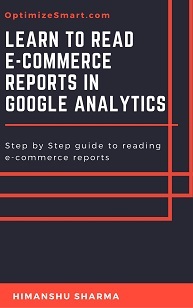 User ID is different from client ID in the way, that client ID is generated by Google Analytics. Whereas, User ID is generated by your users’ authentication system (like Website Login). #1 The user ids must be set after the tracking object has been created. Otherwise the user ids will not be associated with your web property. #2 The user ids must be set before you send any hit data to GA. Otherwise user ids won’t be set for all subsequent hits that occur on a page. Note: You can also set up user IDs for mobile apps. You can modify _ga cookie, by changing its attributes. Note: Google recommends not to directly access the _ga cookie as the cookie format might change without warning which could lead to script errors and incorrect data. The cookieName field accept values of type text. Cookie domain is the domain at which the Google Analytics cookie _ga is set up. By default the cookie is set on the top level domain. 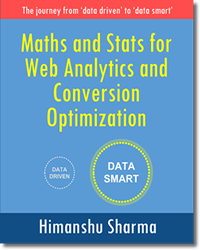 So, if you have set cookie at top level domain like www.optimizesmart.com then the cookie domain would be ‘optimizesmart.com’. (without ‘www.’ Prefix). Note: The cookieDomain field accept values of type text. Cookie domain needs to be ancestor of the current domain. In case of cross domain tracking, the cookie domain needs to be ancestor of the current domain. Note: When you set an incorrect value for cookieDomain, the _ga cookie is not set. 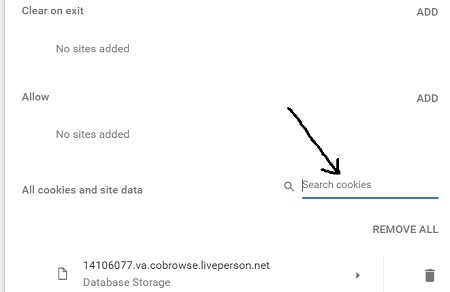 If you want google analytics to automatically determine and set the _ga cookie at the top level domain or automatically set the value of cookieDomain to ‘none’, when you use a local host then use ‘auto’ as the value of cookieDomain. The advantage of using automatic cookie domain configuration is that, you can track users across all sub-domains without any additional configuration. Cookie Path is the path at which the cookie is set up. Note: Google does not recommend changing the cookie path. Cookie Expires is the time in seconds, after which the _ga cookie will expire. By default _ga cookie expires after 2 years from the date it was last refreshed. Every time a new hit is sent to google analytics, the cookie is refreshed. Here we set the _ga cookie to expire after 180 seconds. Note: The cookieExpires field accept values of type integer. Note: The biggest drawback of _ga cookie is that you can’t dig out session or campaign specific data from the cookie as all of these calculations happen in the backend on GA servers. Once you delete the analytics.js cookies, returning users will be treated as new users. However there is no guarantee that the returning will always be treated as new users because analytics.js does not always rely on _ga cookie for collecting data esp. when the measurement protocol is being used. Step-1: Visit a web page which contains valid Classic Google Analytics tracking code, in your chrome browser. Step-2: Follow the steps you followed earlier, for viewing the analytics.js cookies. Step-4: Click on one of the ga.js cookies, to see more details about the cookie. Domain Hash => This number represents the domain which set up the cookies. All Google Analytics cookies set by a particular domain have same domain hash. Random Unique ID => This is the second number which is randomly generated. Timestamps => The next three numbers are timestamps which represent the time of initial visit, beginning of previous session and beginning of current session. All these three numbers also represent the number of seconds elapsed since Jan 1, 1970. Session Counter => The last number is the session counter. It is incremented each time a visitor starts a new session. If you look at the three timestamps above, you will notice that they all are same numbers which means this is your very first visit to the website. 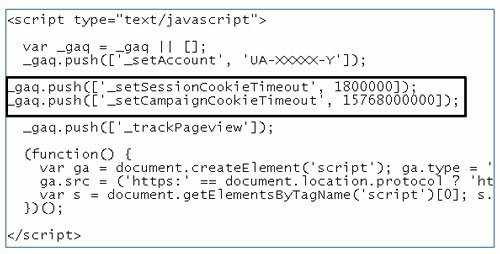 Note: If you want to reset your session counter in _utma cookie to 1, then you can do that by deleting all of the Google Analytics cookies or by using a different web browser/device, to return to your website. 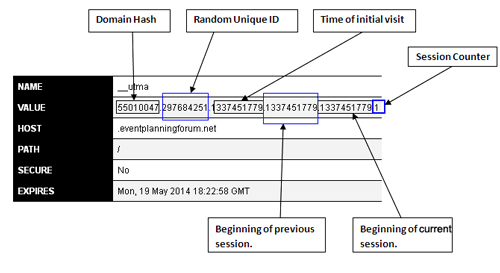 This cookie is used to identify a web session and to store information about the session. Google Analytics end the web session when this cookie has expired. 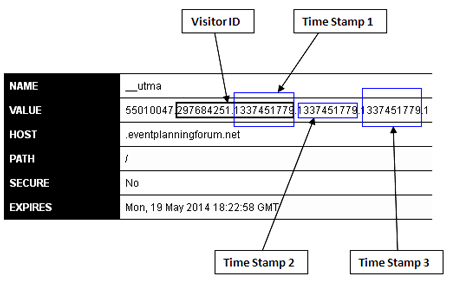 When your visitor loads a web page, the Google analytics tracking code check for _utmb cookie on the visitor’s hard disk. If this cookie is missing then Google Analytics treats the session as a new session and creates a new _utmb cookie. If the cookie is already present than Google Analytics update the cookie to expire in 30 minutes. The _utmb cookie expires after 30 minutes from the date, it was last refreshed. Whenever a visitor navigates to other page of a website, Google Analytics updates the _utmb cookie to expire after 30 minutes. So as long as the visitor doesn’t stay on a web page for more than 30 minutes and continue to navigate other pages of the website, the _utmb cookie will not expire and hence the web session will not terminate. The _utmb cookie can also expire if a visitor returns to your website via a different traffic source value (utm_source, utm_medium, utm_campaign, utm_content, utm_term, utm_id or gclid), even within the 30 minutes time frame. For example if a visitor come to your website via a PPC ad and then later return to the website via organic search listing then his second visit will start a new web session, even if 30 minutes have not elapsed between the two page views/visits. Note: _utmb cookie does not expire if the visitor closes the browser window or navigate to other websites within the 30 minutes time frame. Note: The _utmb cookie expires at the end of a day. The _utmc cookie is not used by ga.js any more but is still set on a user’s hard disk for interoperability with urchin.js. Historically this cookie worked along with _utmb cookie to identify a web session. The _utmc cookie expires as soon as you close the browser window. The _utmt cookie is used to throttle the request rate and it expires after 10 minutes. It works just like _gat cookie. 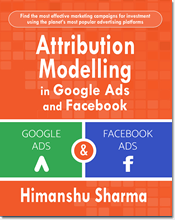 This is a visitor segmentation cookie which is used by Google Analytics to identify a visitor as male, female, member, non member, signed in or signed out visitors, pro-member, pro++ member, employee, non-employee etc. To set this cookie you need to use the _setCustomVar() method in your Google Analytics tracking code. This cookie expires after 2 years from the date it was last refreshed. Every time a new hit is sent to google analytics, the cookie is refreshed. From the screenshot above, we can conclude that the visitor is a pro member. The _utmx cookie is Google Analytics Content Experiment cookie, which is used for A/B testing of different versions of a web page. This cookie expires after 18 months, from the date it was last refreshed. Every time a new hit is sent to google analytics, the cookie is refreshed. This is a campaign cookie which is used by Google Analytics to store campaign information and it expires after 6 months, from the date it was last refreshed. The campaign information is stored in campaign variables. Domain Hash – The first number in the _utmz cookie is the domain hash which represents the website that set up the cookie on visitor’s hard disk. 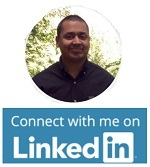 Time stamp – The second number in the _utmz cookie is a timestamp. Session Number – The third number in the _utmz cookie is the session number which is incremented every time a visitor starts a new session. For example, from the screenshot above, we can see that this is the 8th session of a visitor. Note: For every new session the campaign cookie values gets overwritten with new value. Campaign number – The fourth number in the _utmz cookie is the campaign number. This number is incremented every time a visitor arrives at your website via a different campaign (even within the same session). From the screenshot above, we can conclude that the visitors arrived on the website via 6 different campaigns. Campaign Tracking values – The last field in the _utmz cookie, contains information about the campaign which resulted in the current visit. utmcsr = >It represents campaign source and stores the value of utm_source variable. For example, from the screenshot above, we can conclude that the campaign source for the current visit is Google. utmccn = >It represents campaign name and stores the value of utm_campaign variable. For example, from the screenshot above, we can conclude that the campaign name for the current visit is organic. utmcmd = >It represents campaign medium and stores the value of utm_medium variable. For example, from the screenshot above, we can conclude that the campaign medium for the current visit is organic. utmctr = >It represents campaign term (keyword) and stores the value of utm_term variable. For example, from the screenshot above, we can conclude that the campaign term for the current visit is seotakeaways. utmcct = >It represents campaign content and stores the value of utm_content variable. So in short, a visitor clicked on a search engine listing for the keyword ‘seotakeaways’ via Google Organic search. Note: Once Google Analytics read the _utmz cookie, it sends the campaign information to the Google Analytics server which then sends the data to analytics reports. Note: To see the campaign information collected by _utmz cookie in your Google Analytics reports, check the ‘campaigns’ report under ‘Acquisition’ menu (not the Google Adwords campaigns report) in your Google Analytics account. You can modify ga.js cookies, by changing these attributes. 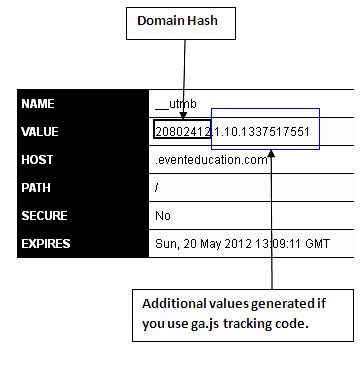 This method is used to set the domain at which all the ga.js cookies will be set. By default the cookie are set on the top level domain. 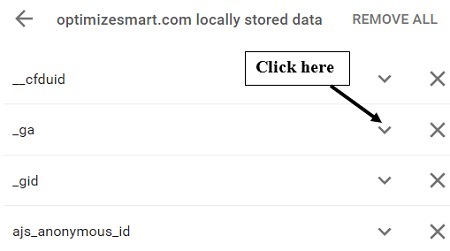 So, if you have set cookies at top level domain like www.optimizesmart.com then the cookie domain would be ‘optimizesmart.com’. (without ‘www.’ Prefix). This method is used to set the path, to which the ga.js cookies will be set. This method is used to change the expiration time of the _utma cookie. The expiration time is specified in milliseconds. Here _setVisitorCookieTimeout() method sets _utma cookie to expire after 604800000 milliseconds or 1 week. Note: Use a search query like ‘1 week in milliseconds’ on Google to convert any time into milliseconds. If you want _utma cookie to expire as soon as the browser window is closed, then set the expiration timeout to 0. For e.g. This method is used to change the expiration time of the _utmb cookie. The expiration time is specified in milliseconds. 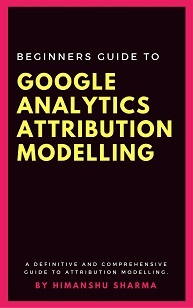 Here you are telling Google Analytics to end a web session after 100000 milliseconds or 100 seconds. If you want _utmb cookie to expire as soon as the browser window is closed, then set the expiration timeout of to 0. For e.g. This method is used to change the expiration time of the _utmz cookie. The expiration time is specified in milliseconds. 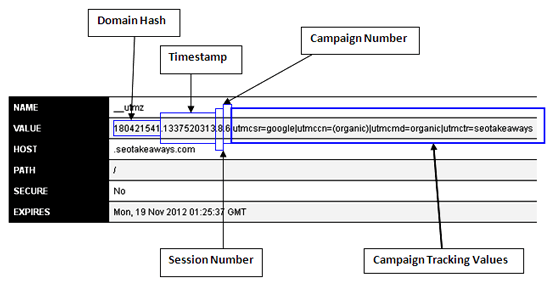 Here you are telling Google Analytics to delete the campaign cookie (_utmz) after 100 seconds. A 100 seconds time out means, Google Analytics will attribute conversion to a campaign for up to 100 seconds or until the campaign cookie value is overwritten with another value. 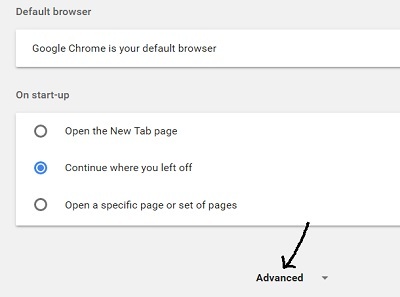 If you want _utmz cookie to expire as soon as the browser window is closed, then set the expiration timeout of to 0. For e.g. #3 How to track the impact of cookie consent on website traffic in Google Analytics.